DV: What inspired you to do this series? 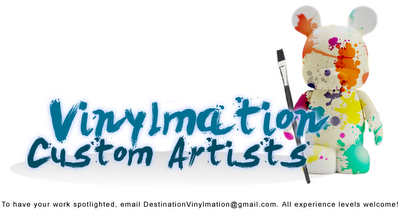 Craig Larson: There are a large number of vinyls I’d love for my collection, but A) I have limited display space; and B) many of my favorite designs are out of my price range. Plus, I really want to challenge myself to work on small scale to see how much detail I could get done while still maintain it’s core design. 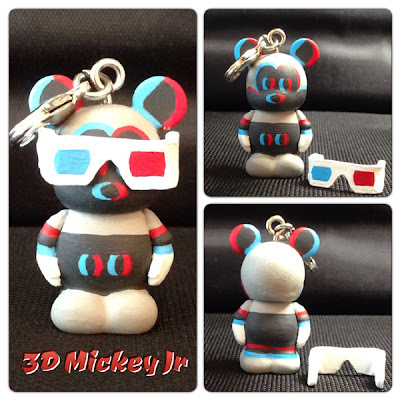 I had a few spare Jr vinylmations and thought “well, if other artists can blow up a 3” design onto a 9” (or 9” down to a 3”), why can’t I go smaller?” Since I wanted them to have a theme, why not choose from various Mickey designs, as there are a plethora of options/designs from artists I greatly admire. I started with Paint Drip Mickey (PDM) and was so happy with the way it turned out, I did Oopsy and then thought why not do a trio? Turns out, I didn’t want to stop at just three, so I kept going. 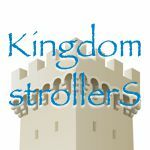 There are so many options, I already have plans to do a 2nd series, but after I take a break — holding a Jr to paint can REALLY start to hurt after a while, so I will be working on a few other things while I narrow my list down for Series 2. DV: Which was your favorite? 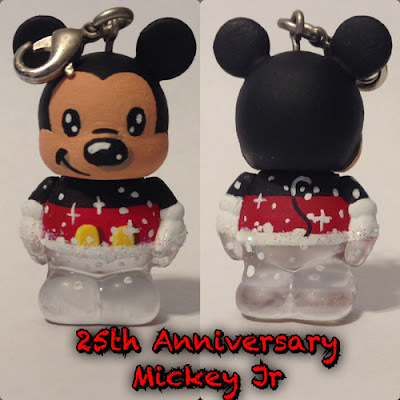 While I like all of them for different reasons, I absolutely love PDM, Oopsy, and 25th Anniversary Mickey (complete with glitter). DV: Which was the hardest to do? CL: The Spectacle of Lights Mickey proved difficult purely based on figuring out how to show the original design. 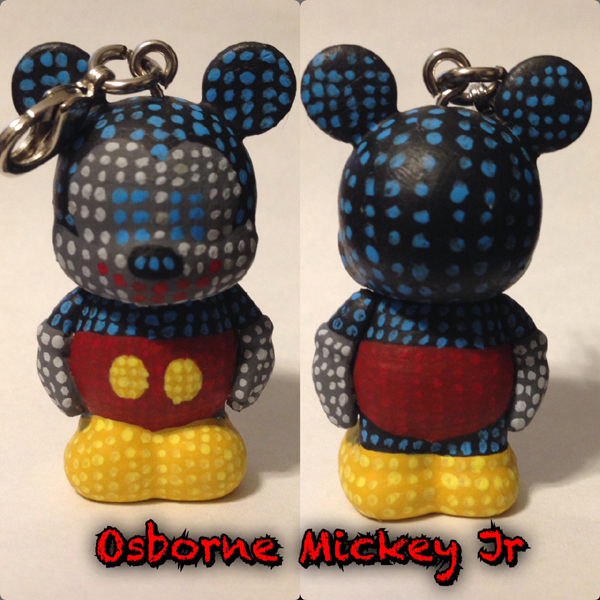 I actually did two versions of this one; one with larger dots and one with smaller dots. 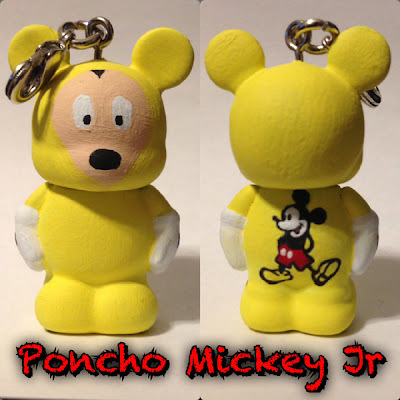 The Poncho Mickey took longer than expected as getting the proportion of the Mickey logo on the back took about 4 tries before I was happy with the size and shape. Runaway Brain Mickey had some issues, but that was mostly because I had some setbacks with his teeth/eyes looking right. DV: Which one do you think looks better on a Jr? Romantic Treats Mickey looks like a piece of candy. DV: Are you selling these or how can people pick them up, if at all? 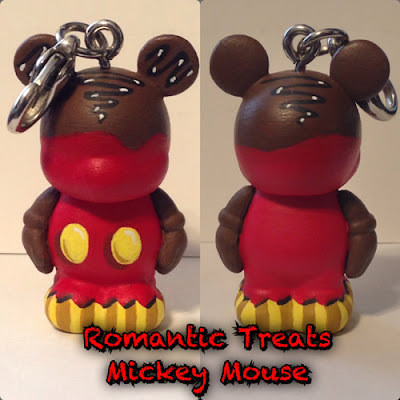 There are some designs that I won’t repeat as they take too much time to redo (Runaway, Poncho, Spectacle of Lights), but I’d be up to trade for Mickey (or other characters) 3” ones that I don’t have or other customs. Just reach out to me on my Facebook page and we’ll see if we can work a trade. DV: How can people contact you? As a special bonus, here is a look at several of Craig’s pieces next to their 3″ originals.